Israel's Public Security Minister hails US decision to close PLO office in Washington. Israeli Public Security Minister Gilad Erdan (Likud) lauded President Donald Trump Wednesday morning, saying that the decision to shutter the Palestine Liberation Organization’s office in Washington DC was part of a larger effort by the US president to ‘demolish the Palestinian’ narrative of Israeli intransigence. The PA has also repeatedly refused to accept the White House’s upcoming framework for a final status agreement, dubbed by the president the ‘Deal of the Century’. 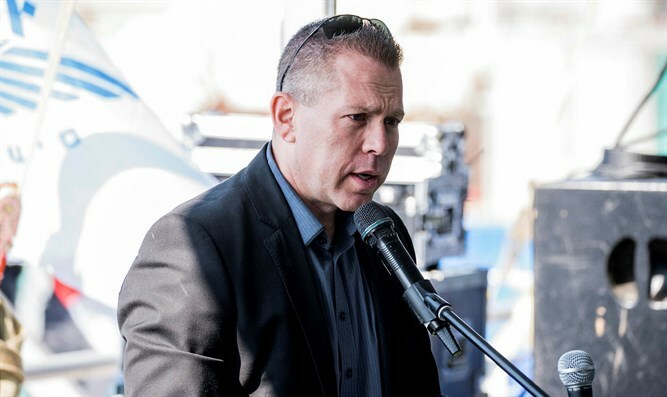 Speaking with Reshet Bet on Wednesday, Public Security Minister Gilad Erdan said the White House’s latest move was the nail in the coffin for the PA claim that Israeli intransigence was the barrier to peace in the region. Had the PA agreed to return to the negotiating table, Erdan continued, the Netanyahu government would have taken the talks seriously, despite claims by PA chief Mahmoud Abbas that Israel has refused to engage in serious final status talks with the PA.